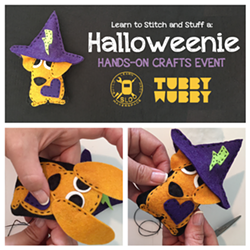 TubbyWubby creator Rebecca Ruggles teaches how to stitch up a pocket-sized Halloweenie stuffed animal (a wiener dog with pointed witches hat). All materials provided. 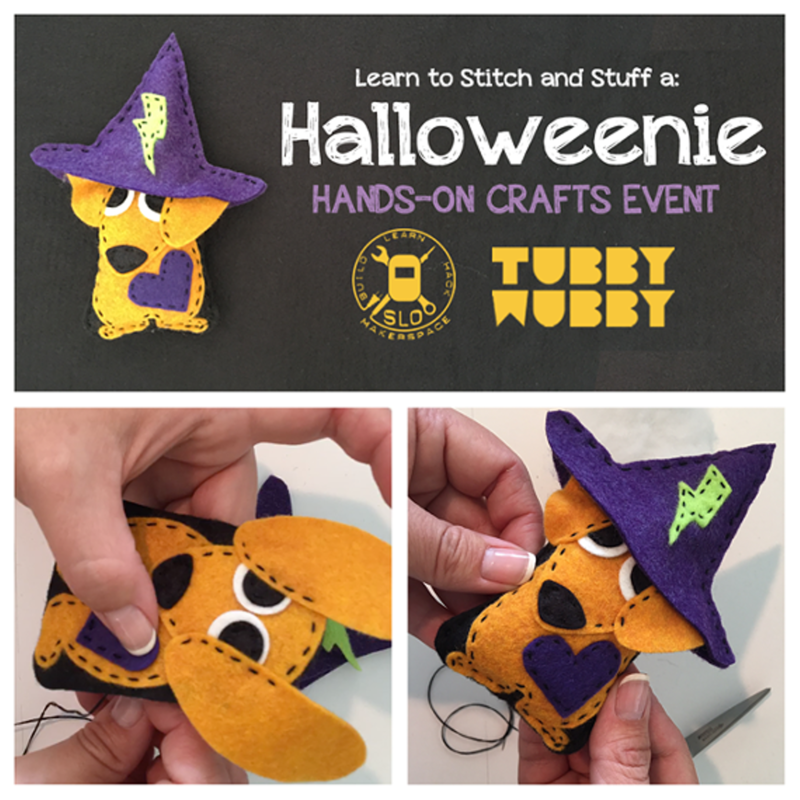 First-time stitchers welcome.